Nov. 19, 2018, 8 a.m.
By Joshua Benton @jbenton Nov. 19, 2018, 8 a.m. Looking for an area of growth in news media — often in local news media, that most challenged of sectors? Follow your nose to what has become a true boom in marijuana coverage. For those who like their pot coverage blockchain-enabled, there’s the independent Cannabis Wire, now run on the Civil platform. Social video pioneer NowThis offers…NowThis Weed. (Sample videos: “This Huge 8.5-Pound Taco Can Feed 8 People”; “This Guy Lights His Bong With A Laser”; “Man In Colorado Makes Pipe Out Of Snow.”) There’s WeedWeek and Proper, The Fresh Toast and Civilized (which “aims to be the Vanity Fair of marijuana culture”). And north of the 49th, The Globe and Mail is using Canadian legalization to build out a number of products, including a $1,000-a-year email newsletter titled and for the “Cannabis Professional,” while other newspapers start verticals like the Winnipeg Free Press’ The Leaf. America’s state-by-state patchwork of laws has opened up the opportunity for local outlets, like The Denver Post, to be early movers in the space. And today, here in Massachusetts — where the first legal recreational sales are scheduled for tomorrow morning — The Boston Globe joins their number. A new section of BostonGlobe.com dedicated to pot issues launched today, “dedicated to covering the politics, business, use, and impact of cannabis in the Northeast with a primary focus on the New England states of Maine, Vermont, New Hampshire, Massachusetts, Rhode Island, and Connecticut.” The Globe has already had a “This Week in Weed” newsletter for some time. The vertical — which doesn’t seem to have a catchy New England-y name like “The Other Green Monster” or “Potholes” or “Spahk the Dank in Hahvahd Yahd” or “How Do You Like Dem Apple Bongs” — will be staffed by two full-time reporters, an editor, and a digital producer. “The Globe aims to provide coverage that will be indispensable reading for politicians, lobbyists, businesses, and activists in the Northeast while also being informative and a must-read for interested consumers,” said Matt Karolian, the Globe’s director of new initiatives, general manager for the cannabis subsite, and (it should be noted) a recent Nieman Fellow. While the vertical may not have a name, it has a Twitter handle — @marijuananews — that illustrates the scale of the ambition at play here. I am going to assume that the fact it follows exactly 420 people is not an accident. 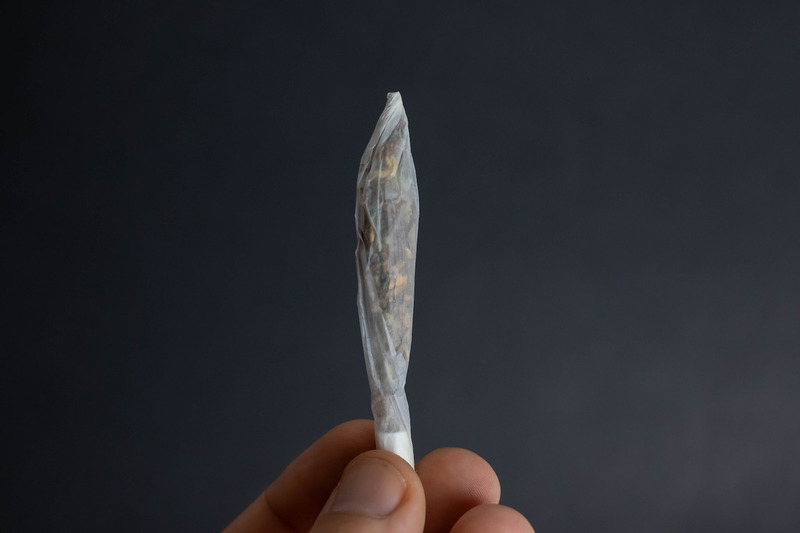 Photo of a joint by Marco Verch used under a Creative Commons license. POSTED Nov. 19, 2018, 8 a.m.
Benton, Joshua. "The Boston Globe seeks a contact high from the spread of marijuana legalization." Nieman Journalism Lab. Nieman Foundation for Journalism at Harvard, 19 Nov. 2018. Web. 20 Apr. 2019. Benton, Joshua. "The Boston Globe seeks a contact high from the spread of marijuana legalization." Nieman Journalism Lab. Last modified November 19, 2018. 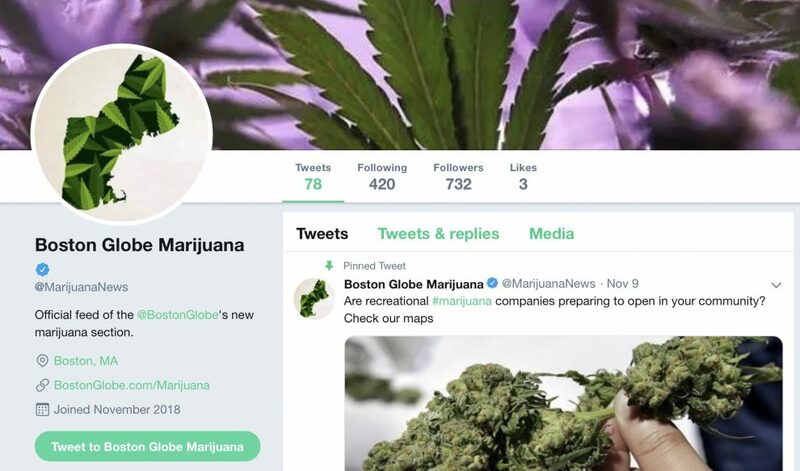 Accessed April 20, 2019. https://www.niemanlab.org/2018/11/the-boston-globe-seeks-a-contact-high-from-the-spread-of-marijuana-legalization/.